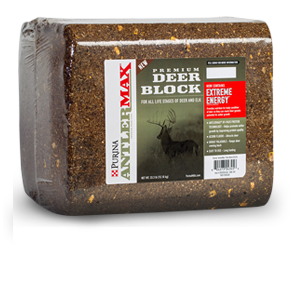 An optimal-energy Deer Chow® diet is now available with AntlerMax® Energy Technology. It is a highly researched patented protein and patented high-energy pelleted complete ration (containing all necessary roughage) with a 16% protein level. 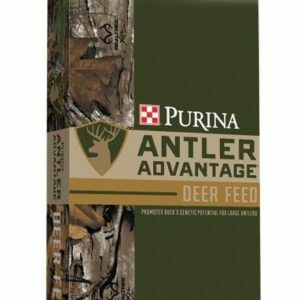 It is formulated with all the protein, vitamins, minerals and energy penned deer need for top overall health, body condition and maximum antler growth. Adding other food sources such as corn or soybeans to the deer’s regular diet can add extra energy. But it also can interfere with and dilute the delicate balance of amino acids and minerals in the diet, putting the deer’s top antler growth at risk. 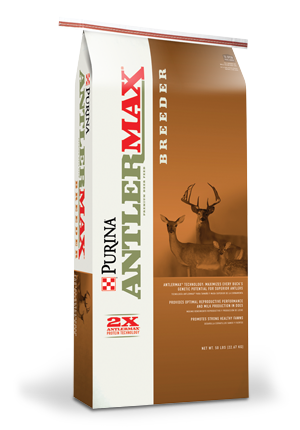 If your deer need more energy, choose the new professional hi-energy breeder Deer Chow diet with patented AntlerMax® Energy Technology. This new diet accounts for the additional energy in the formula so your deer receive all the protein, vitamins, minerals and energy they need for optimal body condition and maximum antler growth.